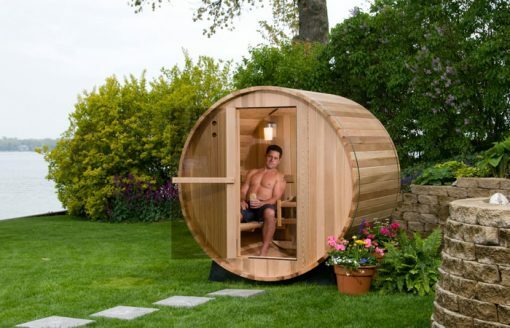 The Rustic Barrel sauna creates a functional and beautiful accent to the garden. Since it is a free-standing unit, you can place it anywhere in the garden to enhance your landscaping. 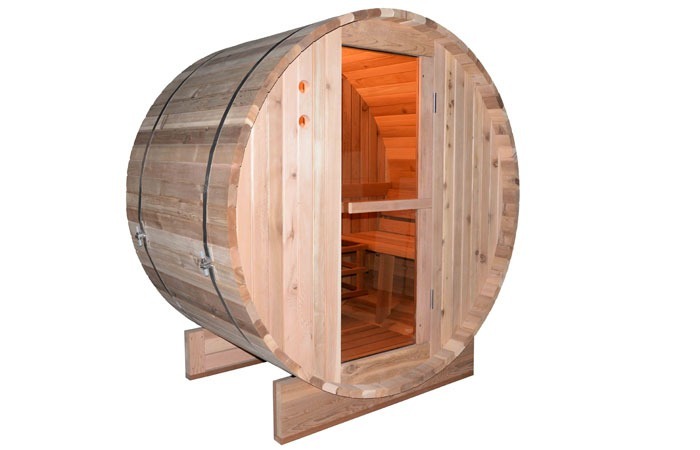 The Rustic Barrel sauna is made from Western Red Cedar. 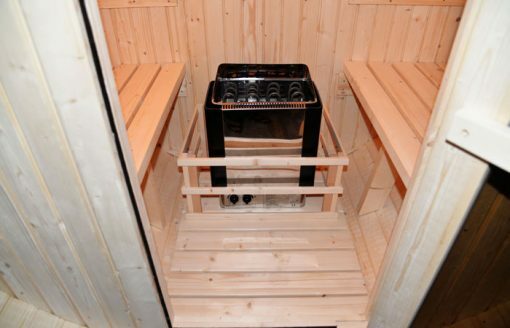 What makes a cedar sauna stand out is the ambience and smell of Western Red Cedar that can only come from a natural wooden sauna. Due to the natural properties inherent to the wood, Western Canadian Red Cedar is naturally resistant, making it the ideal lumber for outdoor saunas, with a long lifetime. 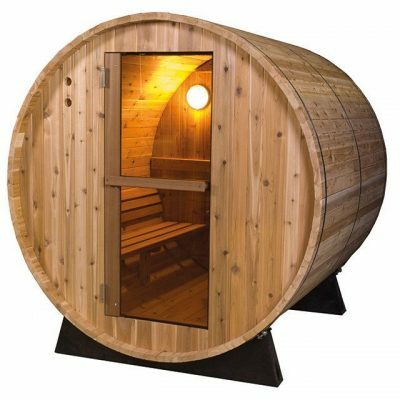 Our truly unique Rustic Barrel Sauna stands freely indoors or out. The front and back ends are completely pre-assembled and the door is pre-hung using self-closing hinges. 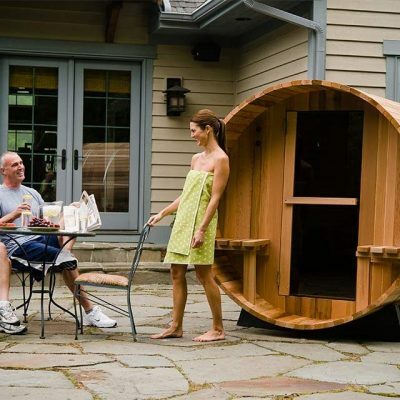 The Rustic Barrel sauna can be assembled from start to finish in just a few hours. This unit is 2 persons, 120 x 185 x 200cm, 4ft.